It's a dessert that Italy's had a love affair with and translates to "Pick me up." CBC reporter Megan Williams takes on the hard job of judging the first ever, world Tiramisu competition. 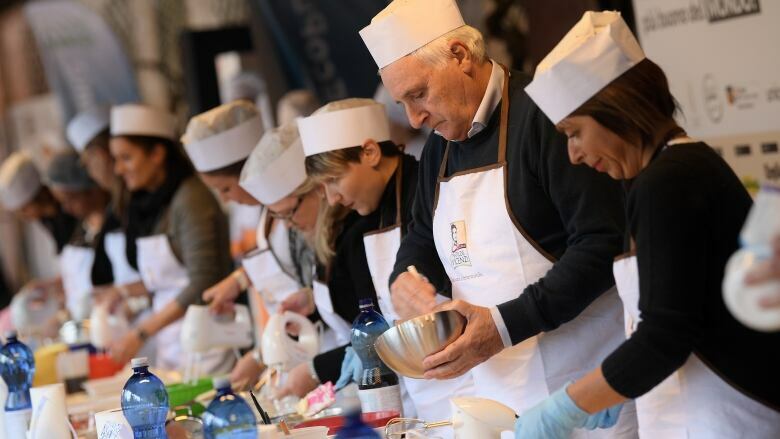 On a rainy November weekend in Treviso, Italy, 700 contestants gathered for the culinary showdown — the first-ever Tiramisu World Cup. Tiramisu or "pick me up" as the translation goes — thanks to all that coffee and cocoa — is a simple, but delicious dessert. The Current's Friday host Megan Williams was a contest judge and tells Anna Maria Tremonti that "there is no excuse too small to celebrate food in Italy." Williams says that for Italians, paying tribute to their culinary traditions is an important part of their national identity. And tiramisu with its simple ingredients of cheese, eggs, sugar and coffee represents the best of Italian cuisine. 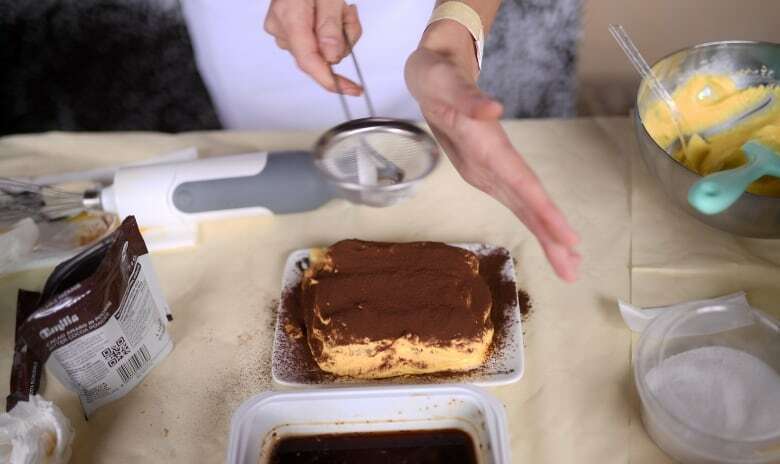 Gigi Padovani, author of Tiramisu: History, curiosities, and Interpretations of the most beloved Italian dessert, believes that tiramisu is a perfect representation of Italy. "Spaghetti brought Italy together from the south to the north. Lady fingers came from Piedmont, coffee arrived from Venice, mascarpone cheese from Lombardy near Milan and Marsala from Sicily. So you have all Italian cuisine together, and this is our proud heritage together." 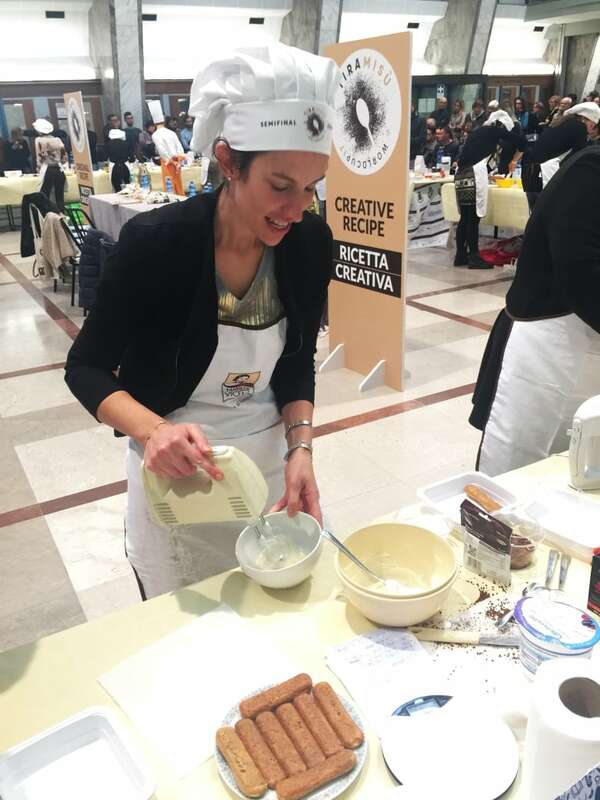 Williams met several contestants, including Canadian Alexandra Mason, who added cardamom to her tiramisu, and Elisa Benetti, who was competing in the tradition category. Benetti says that she had lots of practice making 24 tiramisus a year for her brothers. There was a lot of experimentation in the creative category — not all good, says Williams. 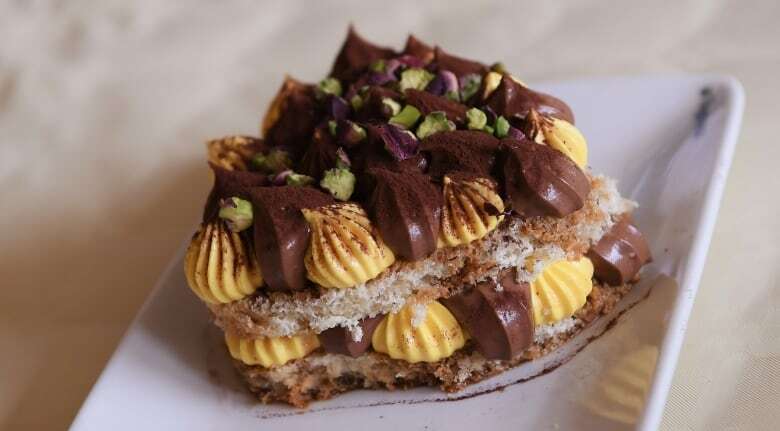 "I tasted tiramisu with pistachio, amaretto cookies, persimmons. One guy developed an After Eight theme, which felt like a blast from the '70s and way too sweet. I think the most "out there" addition was caramelized onion — a little slimy — but they actually weren't bad. They were sweet." 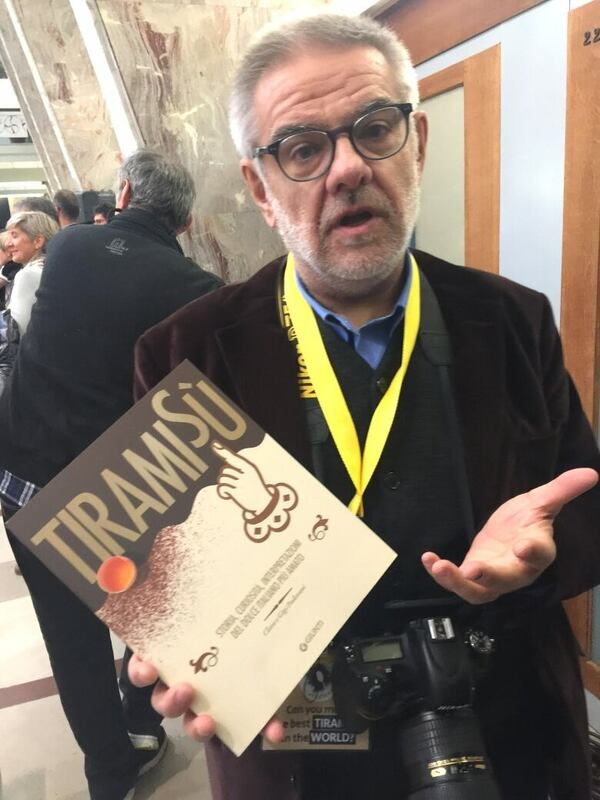 Contest organizer Francesco Redi insists that a perfect tiramisu must have equilibrium. "The champion of this competition must create a tiramisu with great equilibrium ... The fingers biscuits can't fall … If you taste too much coffee or too much cocoa, it's not good. In my opinion, the traditional recipe is the best because it gives great equilibrium, and the taste is incredible." 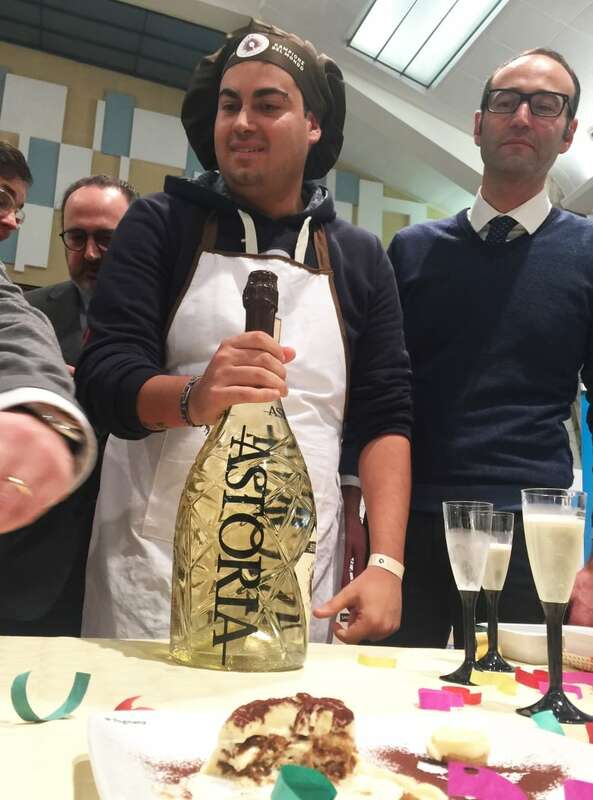 The winner, in the end, was Andrea Ciccolella, from the small town of Feltre, in northeast Italy. He says he practised every day in the month leading up to the competition, perfecting the density of the cream and the esthetic of the presentation. Listen to the entire conversation near the top of this web page.